You must have heard the name ‘Reva’ electric, a mini electric car which was first seen at some auto exhibitions and trade fares in India in late nineties. The Reva electric was later remodeled as Mahindra e20 electric car. We bring out here all you wanted to know about Mahindra e20 electric vehicles. The Reva car was manufactured by the Bangalore based Reva Electric Car Company (RECC). 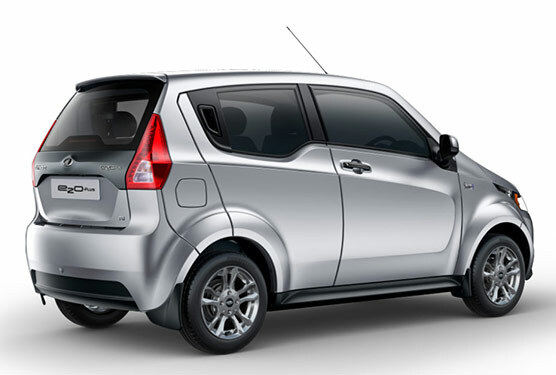 The first Indian electric car Reva was launched in 2001 by the company. It was then sold in more than 26 countries and by the year 2011 around 4000 electric cars were running world over. RECC was later acquired by Mahindra & Mahindra (M&M) in 2013. After lot of R&D, Mahindra & Mahindra remodeled the Reva electric as Mahindra e20 electric and was launched in India in March 2013. M&M has already set up around 250 charging stations in various cities (95 in Delhi and 100 in Bangalore) to meet the demand of electrical charging stations. The locations of the charging stations are available at finger tips on the Mahindra’s e20Plus app. Many companies in central sector like NTPC and PGCIL are also planning to enter EV charging business. The Mahindra e20 electric car comes with remote diagnostics informing the cars‘s state of charge and sends reminders on various functions. The car can also be remotely locked, unlocked and offer remote start and stop charging of the battery. 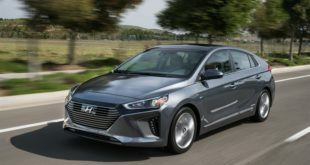 The car has regenerative braking which means when you hit the brake or don’t use the accelerator, the kinetic energy of the car is converted into electric energy. Excellent features as you don’t just burn the miles while driving in congested city roads, you earn the miles too while braking. 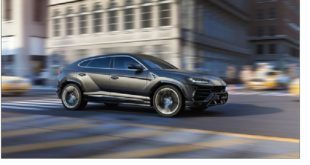 Also, as the electric system does not involves moving parts lagging the power output like conventional IC engines, you get the instantaneous torque to zoom with maximum torque right at the go. The car uses a lithium-ion efficient battery which takes around five hours to reach full charge. The Mahindra e20 electric is an advance car with smart phone controlled features, GPS navigation with modern touch screen dashboard and keyless entry. The car also is equipped with REVive feature to help you in case you are stranded with exhausted battery through the company contact or through the e20Plus app to get enough charge to reach you home or close to the nearest charging point. The drive of the Mahindra e20 electric car, of course is electric motor. Being pollution free, you save on your carbon footprints too. You get the extra thrill of going green and contributing towards saving the planet as well. 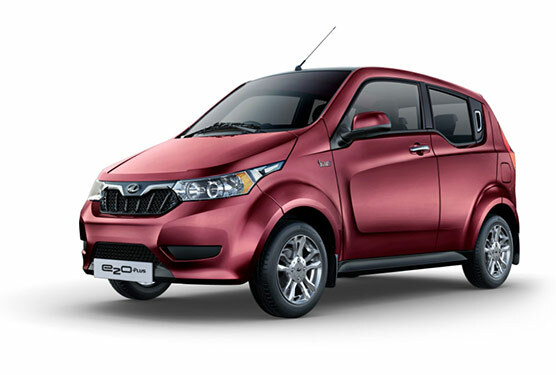 The Mahindra e20 electric car’s safety features fully comply with the European norms. Front: Mac Pherson Strut type independent suspension with coaxial spring. 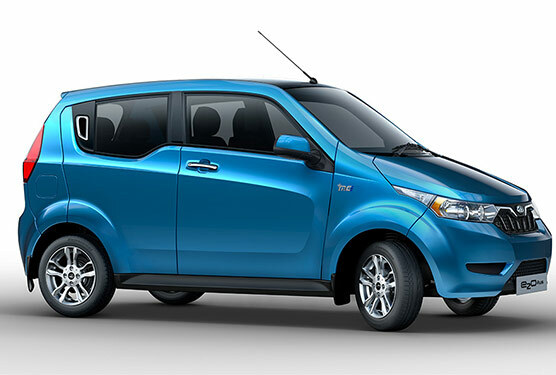 The Mahindra e20 electric car is available at a price of Rs. 7.46 lakh (ex-showroom). 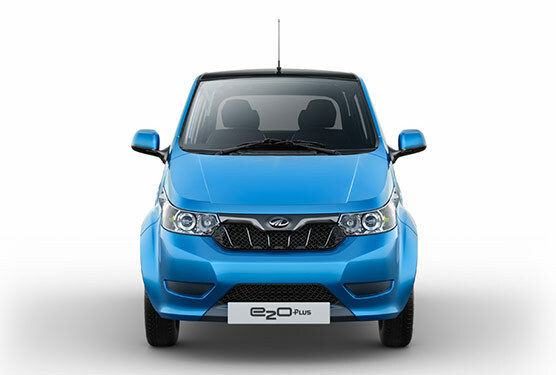 With the government’s push for electrical mobility and company’s plans to partner with rental firms and cab aggregators, it expects the Mahindra e20 electric vehicle sales to jump three folds during this year. The emerging scenario world over is looks to be electric. Government of India is already aiming to go fully electrical by the year 2030, Mahindra & Mahindra is going to play a big role in the move and its future is electric. 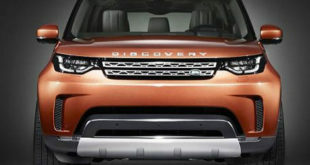 Stay tuned to India Autoz for more electrifying auto news.